This is Clara Belle. Isn’t she a stunner? My parents gave this to us as an early Christmas present and we love her! She’s taken pride of place on the sideboard, next to the giant Carstens lamp. Believe it or not, she is actually marked as 701 W.Germany. Neither of us have ever seen anything like this from a West German manufacturer… an internet search has yielded nothing so I’m hoping one of my readers may know something more. The head was christened Clara Belle by my mum; she thinks it looks like me in 1930s pottery form! I suppose it does a bit: slightly orange hair, green eyes, lipstick. I might try out the look at Christmas at some point. I presume she would have been used as a display head in a shop. But who made her? How old is she? I saw two of these on my latest trip to Germany, Emma. One was a bit damaged and they still wanted €195 for it! The other was in a Flohmarkthalle and I had it under my arm when the lady who owned it told me in no uncertain terms, that it was not for sale. She had a hat for sale and said she needed it to dispaly it properly. I had seen a glass head hat display in the same place and jokingly offered to buy it and give her it in part exchange! She wouldn’t be on though! I will be coming back in March so will try her again. Meanwhile, I just hope it doesn’t get damaged. It’s nice to see that there is someone else who has one of these beautiful heads. I am the owner of a male one, marked exactly the same as yours. I also would like to know more about them. I have one as well. It is black. I think its a wig stand. I bought mine at local garage sell. It was stuffed with German news paper dated 1987, so it was before then. A reader called ‘Chris’ has sent a link to his amazing collection of these – click here to see! I’ve had one of these heads, with the same marks, for donkey’s years, only mine is a Pierrot. I bought it at a jumble sale about 20 years ago. I’ve never found out what factory it was from, but always assumed it dated from the 50’s. Great to see some others out there! Found one at an auction – got it on ebay now but tempted to keep it as it looks great on the side. Its marked with W.Germany 701 to the bottom – I also have never seen the like from west germany – lots and lots of colourful pots but never anything like this. Fantastic! Can you tell me where you got the information, please? 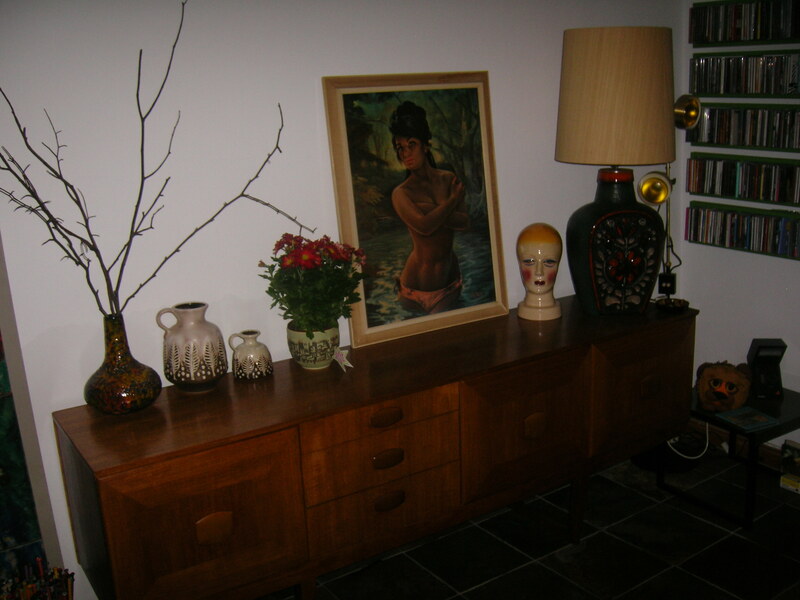 I am a collector, and dealer in West German Pottery, and belong to a group of other dealers/collectors. 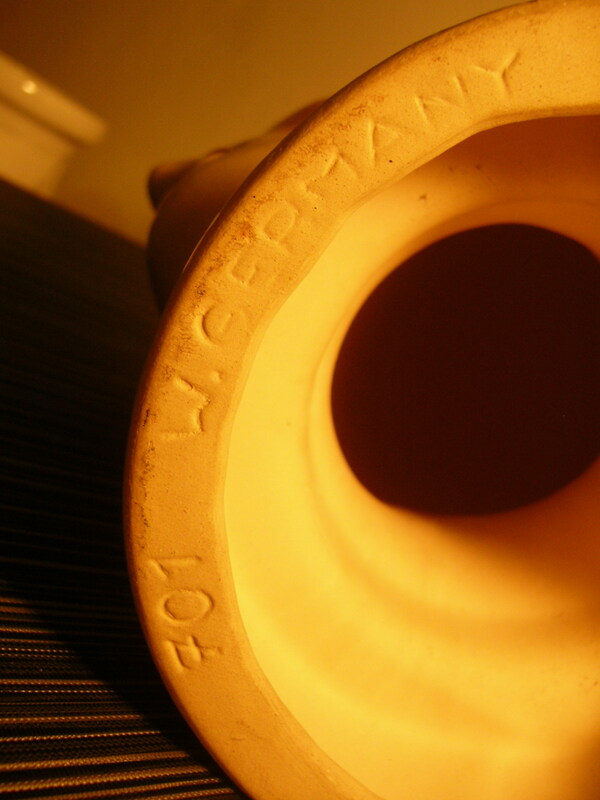 I was informed by the lead expert in German pottery who the maker is. I was so happy to get this information!!! I bought this from an antique dealer that was closing his kiosk in London, Ontario Canada to run a cooking magazine. 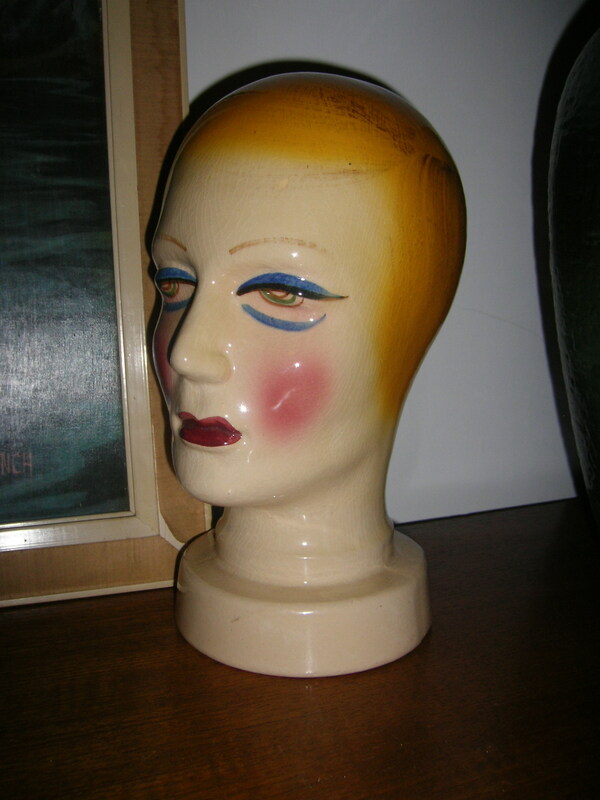 I have her proudly displayed in my living room…and she is always a conversation piece! Lol.